Join this exclusive, nine-day French sojourn in world-famous Provence and in the Burgundy and Beaujolais wine regions during springtime, the best time of year to visit. 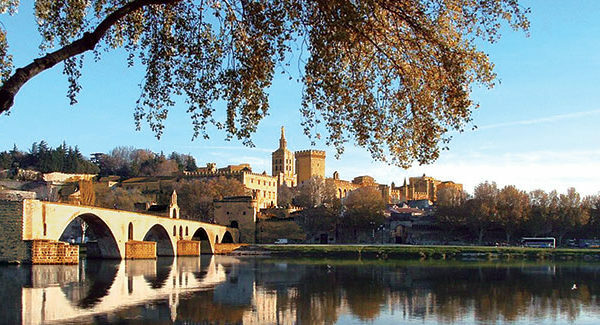 Cruise from Provençal Arles to historic Lyon along the fabled Rhône and Saône Rivers aboard the exclusively chartered, deluxe Amadeus Provence, launched in 2017. Dock in the heart of port towns and visit the wonderfully preserved Roman Amphitheater in Arles, the medieval Papal Palace of Avignon, the Roman city of Orange, and the legendary Hôtel-Dieu in Beaune. Enjoy a walking tour of Lyon, France’s gastronomique gateway, and an excursion to the Beaujolais vineyards for a private wine tasting at the Château Montmelas. The Palette of Provence pre-cruise option immerses you in the vibrant culture of the quintessential Provençal region, featuring cosmopolitan Geneva, Switzerland, and the beautiful town of Chamonix, France, at the base of spectacular Mont Blanc. Download a brochure about this trip. For more information, or to make reservations, call Gohagan & Company at 800-922-3088 or visit www.gohagantravel.com.